Looking for Work Wear in Perth? Promotional FX has everything you’re looking for! We specialise in exceptional quality work wear including Men’s and Women’s safety wear, industrial and protective clothing, custom embroidery and High vis workwear, so no matter what your work is, we can find you something to wear. Our range includes work wear for both men and women working across a wide range of Industries and include high quality gear from leading brands. 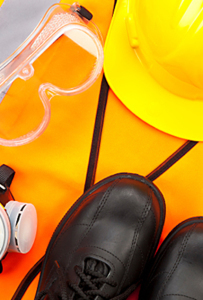 From Hi vis safety vests through to work shirts and shorts, steel-capped boots to sunsafe hats, Promotional FX always delivers the highest quality range and we proudly support Australian made product. And if you’d like to design your own look with work wear that complements your business perfectly, our in-house embroidery service can customise your work wear with your logo and branding and being an in-house service enables us to keep our prices down and our service up. We’re proud to be a WA owned and operated family business, dedicated to high quality product and exceptional service and our fast turn-around time means that you’ll have your work wear when you need it. Browse our online catalogues or visit our Cockburn Central showroom.